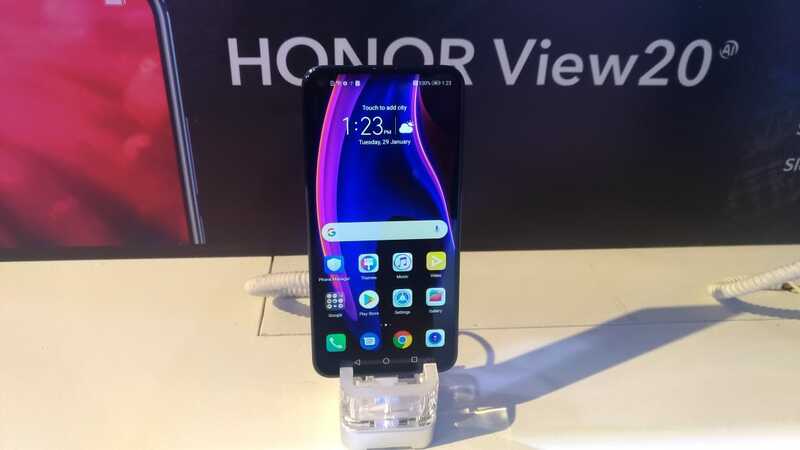 Honor has launched its much-awaited smartphone Honor View20 today at an event in India. The phone will be exclusively available on Amazon.in from tomorrow starting at Rs. 37999. The sale will start at 12:00 AM on January, 30, 2019. 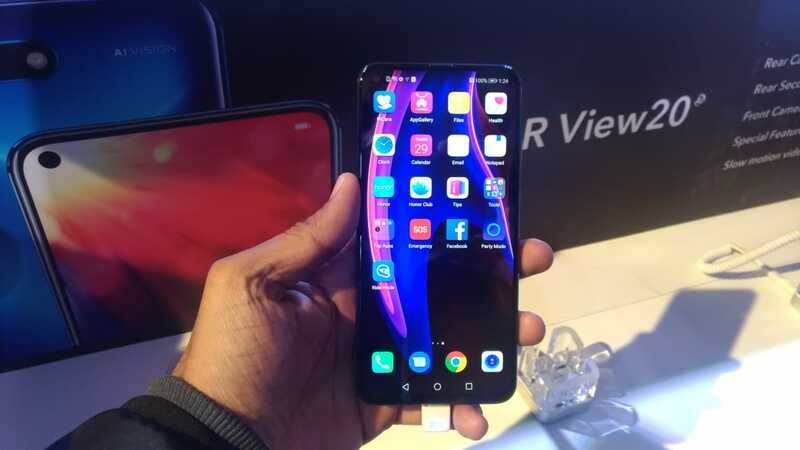 This phone was officially revealed in China last month. 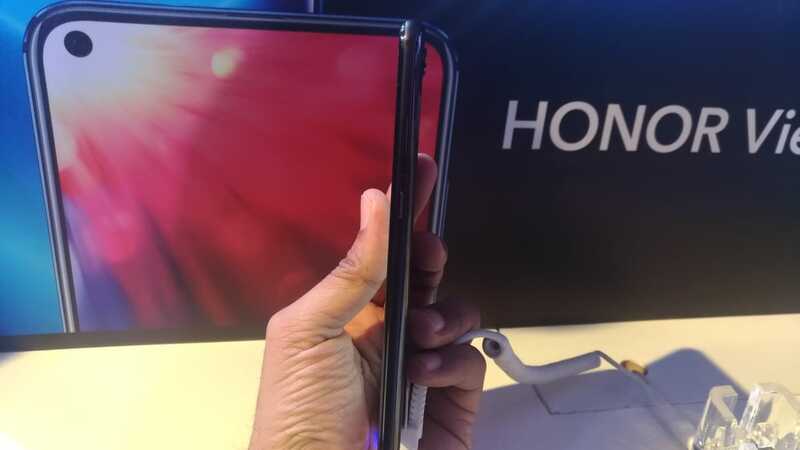 Honor View20 has a 6.4 Fullview edge-to-edge display. The phone comes with Kirin 980 SoC with GPU Turbo 2.0 and liquid cooling. It has 6GB and 8GB RAM options with 128GB or 256GB storage options. 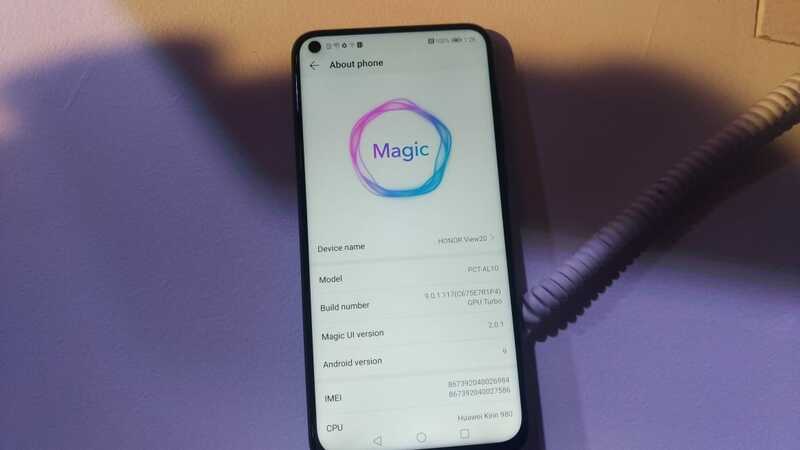 The phone runs on Android 9.0 (Pie) with Magic UI 2.0. There is no notch but a hole at the top left corner for the front camera. 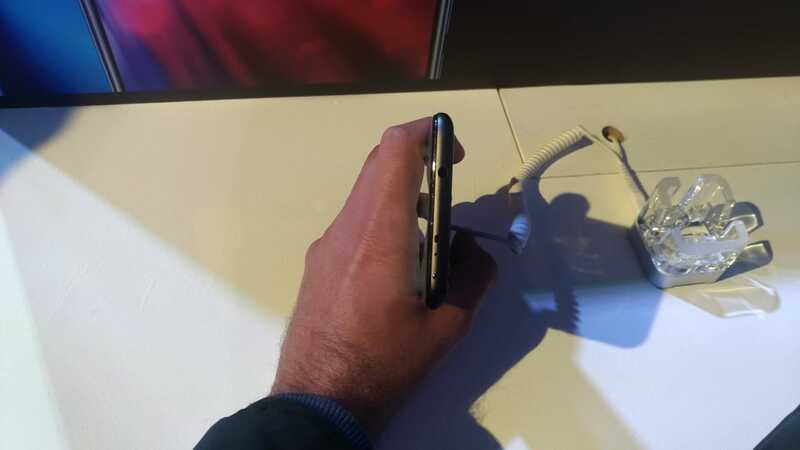 This gives a super cool look to this smartphone. It has 48 megapixels rear camera with an f/1.8 aperture and Sony IMX586 Exmor RS sensor along with a TOF 3D secondary camera. There is a 4.5mm space at the top left corner for the front camera which houses a 25 Megapixels camera. It is In-Screen AI camera. 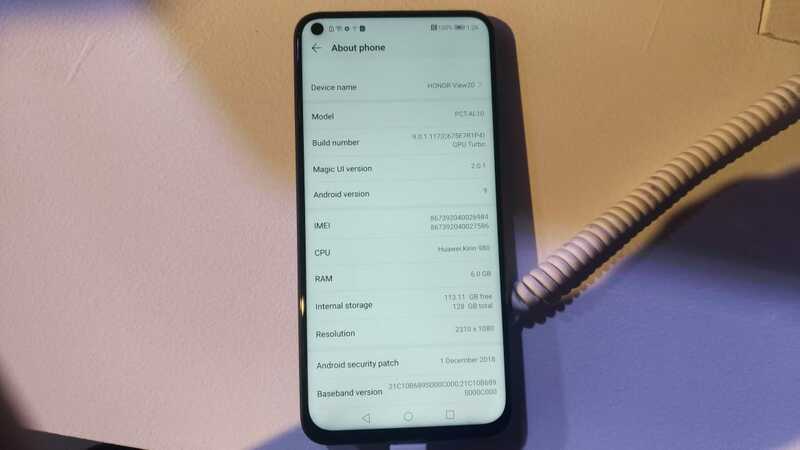 Talking about connectivities, the phone packs Dual 4G VoLTE, Wi-Fi 802.11 ac (2.4GHz and 5GHz), Bluetooth 5 LE, GPS (L1 + L5 dual band), NFC, and USB Type-C. It also comes with Link Turbo tech that offers uninterrupted download speeds by combining LTE and Wi-Fi network speeds. Proximity Sensor, Accelerometer Sensor, Ambient Light Sensor, Gyroscope Sensor, barometer, fingerprint sensor and hall sensor. It also supports face unlock. The look and colors of the smartphone are very classy. The phone comes in two colors, Midnight Black and Sapphire Blue. It has a glass back with unique V symbols under the glass added through a nano laser coating process. When light hits the back, you can see V-shaped patterns. 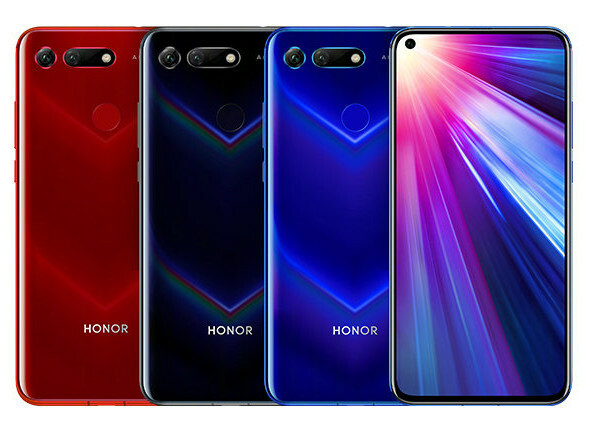 Honor View 20’s price in India starts at 37999 INR for the base model having 6GB of RAM and 128GB of internal storage. There is also another model with 8GB of RAM and 256GB of inbuilt storage at 45999 INR. 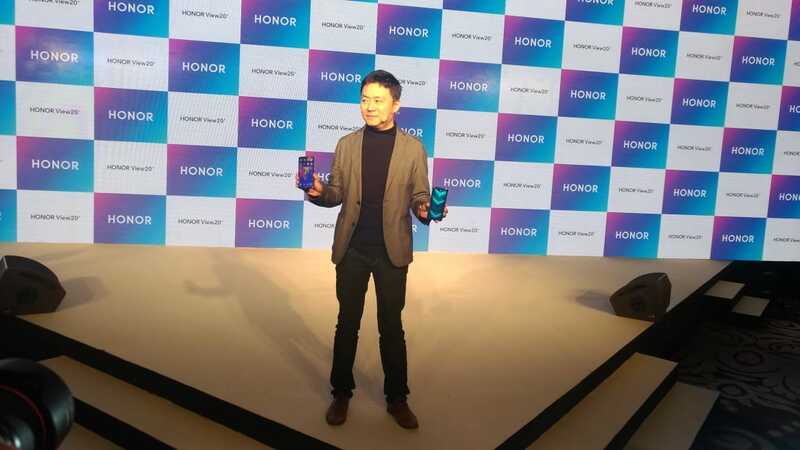 Honor also launched Honor Watch Magic and Honor Band 4 along with this smartphone.